GE has been serving the public with their products for many great years. They have always provided homeowners and businesses with the appliances and products they need to live. GE has an outstanding line of washing machines, dishwashers and refrigerators to just to name a few. But without a great water heater, you would not have an effective washing machine or dishwasher. 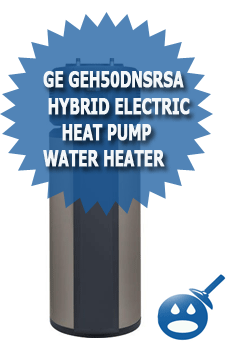 So GE will be unveiling their new Hybrid Electric Heat Pump Water Heater in November 2009. This new water heater is said to help consumers use 62% less energy than the traditional electric water heaters. With the electric water heaters, they are the third biggest energy user of any appliance in the home. Have you wondered why your electric bills and water bills have been so high in recent years? The last thing that you may have thought of was the water heater. Now, GE has found a way to help consumers save money on their water and energy bills as well as provides hot water when you need it. Now is a great time to stop throwing money away and start saving. The GE Hybrid Electric Heat Pump Water Heater was created with advanced technology that will help you save money but get that hot water that you need when you need it. Let’s take a look at the GE Hybrid Electric Heat Pump Water Heater and see if this electric water heater sounds like the type of appliance that you want in your home. Most electric waters on the market today can cost you a lot of money just to have them installed. With the GE Hybrid Electric Heat Pump Water Heater installation is easy. You won’t have to worry about replacing your old electric water heater with the Hybrid; these heat pump water heaters are an easy replacement for older more standard type of water heater. The GE Hybrid will fit in a similar footprint as your old 50-gallon style water heater. There will be no extra electrical work or any new wires that have to run, you can use all of your existing water and electrical connections. This is sure to save you a lot of money. Think of the electrician that would have had to hire plus materials, right away you are saving money. The GE Hybrid Electric Heat Pump Water Heater offers a more flexible installation, for example even though this heat pump water heater is an indoor installation only, you can install it either in the attic, a closet, in the basement or in the garage. Before you install the water heater, make sure that you read the clearances and the recommendation that GE has included in their manuals. The GE Hybrid Electric Heat Pump Water Heater is a 50-gallon capacity water heater with a first hour delivery of 63 gallons per hour. The fuel type is electric with an integrated electronic control with LCD display. It has 20 characters x 4 lines LCD display. As we mentioned it has a vacation setting that can range anywhere from 3 to 90 days. The temperature rating is 100 degrees Fahrenheit to 140 degree Fahrenheit. The default setting is 120 degrees Fahrenheit. This hybrid electric heat pump water heater has a temperature memory setting with a precise temperature difference of 3 degrees Fahrenheit. The color is a silver metallic with a color appearance code of SA. The electrical circuit requirements are 30 amps. The operating air temperatures of the water heater are 45 degrees to 120 degrees Fahrenheit on the eHeat, Hybrid and High Demand Settings and 35 degrees to 150 degrees Fahrenheit on Standard Electric Settings. The operating water pressure on this water heater is 20 psi to 125 psi. Unlike other water heaters, the GE Hybrid Electric Heat Pump Water Heater offers 4 different energy settings, the eHeat, Hybrid, High Demand and the Standard Electric Setting. Let’s take a look and see what each setting can offer. With the eHeat Setting, it is the most energy efficient setting on the water heater. You will only be using 550 watts rather than the 4500 watts that a standard electric water heater usually offers. The heat pump will take out the heat from the surrounding air and then heat the water, which will move the colder air back into the room. When you choose this setting it may take longer for the hot water to come up but it will be enough for what a normal household needs. The Hybrid Setting is the default setting on this heat pump water heater. This setting will use the energy efficiency of the eHeat setting along with the recovery and speed of the hot water that is used in the standard electric setting. As this water heater is using the heat pump as the primary way to heat up the water, the electric elements will start up faster if the water temperature recovery time is actually needed. Ad the system decides if the demand of the hot water has been reached the water heater will reset itself back to using the heat pump only. The High Demand Setting, this setting is great when you have a high traffic household. This setting is almost the same as the Hybrid Setting in the fact that they both use the heat pump and the standard element used in heating up the water. With this setting, the system will automatically know ahead of time that it will be using a higher demand of hot water than normal. The heat pump water heater will be able to keep up with the recovery by cycling on the elements faster and for a longer period of time. Standard Electric Setting, this is the least energy efficient setting on the water heater. This setting the heat pump water heater will use the 4500-watt heating elements so it can heat up the water faster. The Department of Energy has tested this hybrid heat pump water heater and they have determined that by comparison with a 50 gallon standard electric water heater the GE Hybrid will use about 1856 kWh a year which costs an average of 10.65 cents per kWh. The standard electric water heater uses about 4881 kWh a year. The difference in kWh is amazing. Imagine how much money you will save. Not only is the GE Hybrid Electric Heat Pump Water Heater a great way to save money it is a great way to save energy too. This Hybrid Electric Heat Pump meets all of the requirements set by the famous Energy Star rating system. The minimum requirement for energy efficiency to become an Energy Star product is 2.0 this Hybrid Heat Pump Water Heater from GE is 2.35 Energy Factor rated, it clearly exceeds the requirements. You will also find that the GE Hybrid Electric Heat Pump Water Heater will uses up to 62% less energy than your current electric water heater. The way that GE can provide this is by using innovative heat pump technology. The way this hybrid heat pump water heater works is by the heat pump removing the heat from the surrounding air. Then the heat will heat up the water and move the cooler air out. The water heater will provide the same amount of hot water as your standard electric water heater but with a higher degree of energy efficiency. This unit also has a vacation setting, if you are planning to be away from home for a few days or longer, you can have the water heater lower the temperature to 50 degrees Fahrenheit and use the eHeat Mode which is the most energy efficient setting on this water heater. 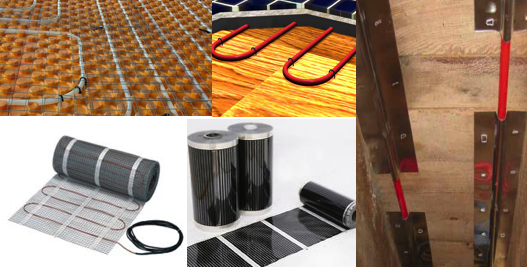 You will save energy and money while you are on vacation. You can program the setting for the number of days that you will away and then on the last day the water heater will go back to the setting that you had programmed before you left so you can pick up where you left off. GE has a reputation for providing customers with high quality and high performance products. As you can see the GE Hybrid Electric Heat Pump Water Heater is above and beyond most water heaters out there, they have combines the heat pump and the water heater into one energy efficient water heating appliance. The Hybrid has a 10 year limited warranty on the 2nd through the 10th year of the water heater and it only covers parts. There is a limited one year warranty on parts and labor. Quite excellent article. I recently discovered your blog page plus desired to mention that I’ve got definitely beloved surfing around your blog site threads. Whatever the case I am subscribing on your feast using this program . expecting you’re posting once more soon!